The travel continues – this time to beautiful Pagosa Springs, Colorado. We are visiting with the ILs this weekend. Jeremy and I took a slightly longer route on the way out in order to survey the remainder of the autumn colors. We are now at the tail end. 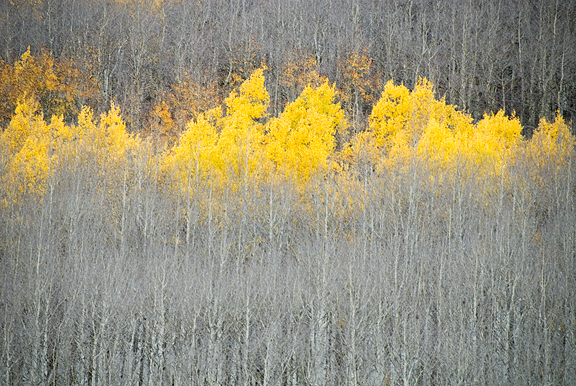 The high winds and snow storms on tap for this weekend will surely put the kibosh on any more golden aspen stands. The temperatures have dropped and the winds were chilling on the drive. It’s both sad and happy… sad to see the fleeting glory of color stripped from the trees and carpeting the ground, but happy to feel the cold snow pelting my face. I dropped our skis off to get tuned today before we left Boulder. Heeeeeeee! Now if you think the lime meltaways or the shredded beef tacos were enough to finish off my bag of limes, you are surely smoking crack. I used up a few more for a delightful cheesecake recipe. The rest were juiced before they shriveled up into small weaponry. I am not a huge cheesecake fan, but this recipe for lime cheesecake (originally key lime cheesecake, but I don’t seek those out often) is different. The texture is lighter and I love anything with a mild tartness to play against the creaminess. I know some cheesecake recipes call for pastry crust, but honestly, I love the traditional graham cracker crust. It just works so well with cheesecake flavors. Oh wait, I also like to use crushed chocolate cookies (Thin Mints are great too) for a chocolatey crust… But as far as the lime is concerned, I am graham cracker all the way. The recipe makes a nice 9-inch cheesecake. I made six 4-inch cheesecakes with a little extra crust. Maybe I should have piled the crust higher? The small springforms do funky things to the thickness ratios, which I try to preserve from the 9-inch version. In any case, if you make mini cheesecakes just be sure not to make them too thin (short). It is an easy cheesecake and I like to add a pan of water to the oven to prevent rifting of the surface(s). I typically bake the cheesecakes until there is the slightest jiggle in the center, and then let the cheesecakes sit in the oven (turned off). 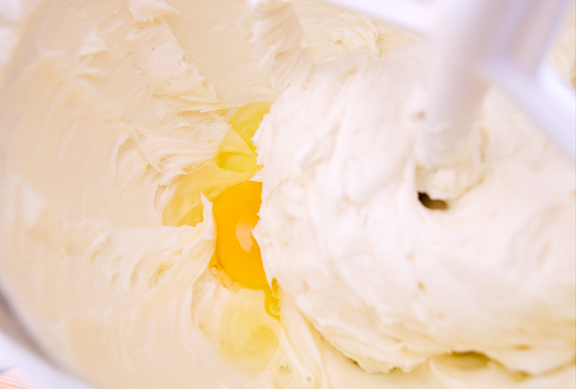 This results in a creamy texture rather than a dried out and crumby texture. Even though I don’t dig on cheesecake much, I think overbaking a cheesecake is a crime. can you believe these were frozen? While the cheesecakes were cooling, I threw together a quick blackberry sauce. Actually, I usually make a raspberry sauce. When I hopped over to the local market in our mountain town, I saw frozen blackberries were half the price of the raspberries. I just boil the berries in sugar and then put the mess through a food mill. 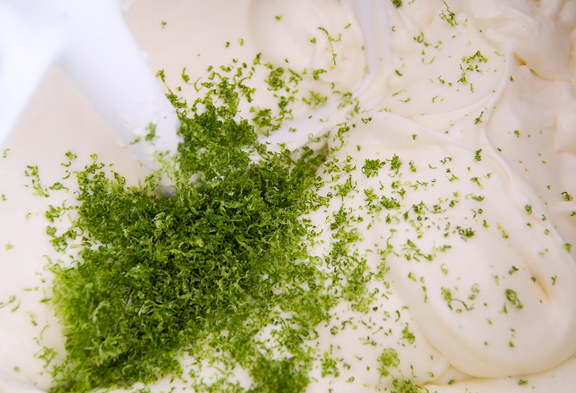 It’s a nice marriage of flavors (come now, what isn’t awesome with lime?!) and another one of those deceptively light desserts to keep in the files. 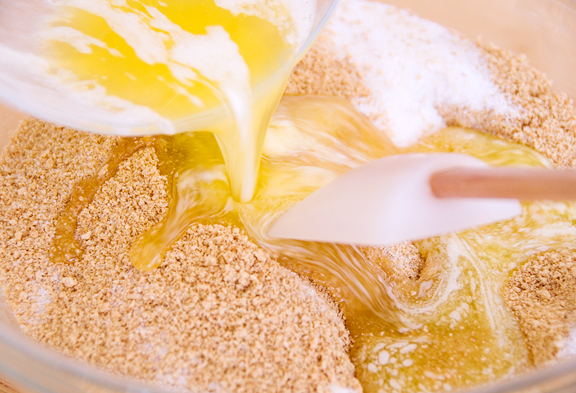 Combine graham cracker crumbs with butter and sugar with whisk. Press into bottom of 9-inch springform pan (or 6 4-inch springform pans); refrigerate. 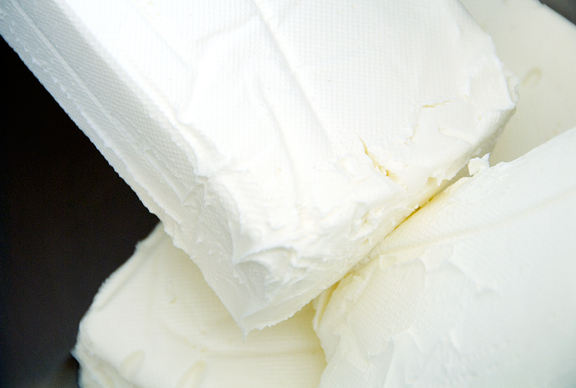 In large bowl, beat cream cheese until smooth; gradually beat in sugar. Beat in eggs, one at a time, blending until smooth. Add remaining filling ingredients, beating until smooth. Pour over prepared crust. 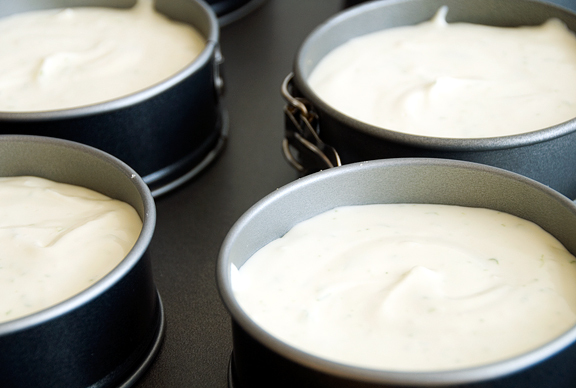 To minimize cracking, place a shallow pan half full of hot water on lower rack during baking. Bake at 325°F for 55 to 65 minutes or until set (25-33 minutes for 4-inch pans). Turn oven off; let cheesecake stand in oven 30 minutes with door open at least 4 inches. Remove from oven; let stand 10 minutes. Remove sides of pan; cool to room temperature on wire rack. Refrigerate overnight or up to three days. 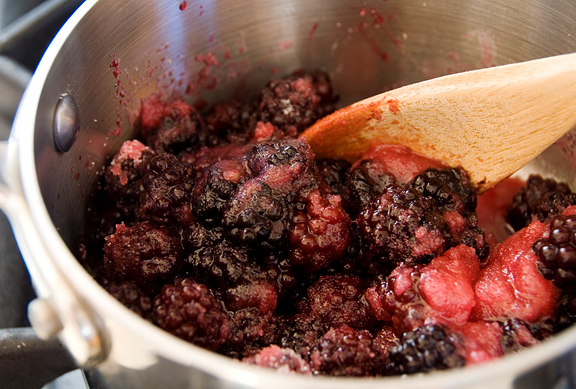 In a pan, boil berries and sugar until sauce thickens. Deseed through a food mill or sieve. Let cool and serve over cheesecake. I don’t dig on cheesecake at all…. But I think friends and family are gonna love it! Hi, I usually just lurk but had to say how wonderful the photos are today. I particularly like the one of yellow leaves between leafless trees and the cheesecake itself. Brilliant. Have a good holiday. 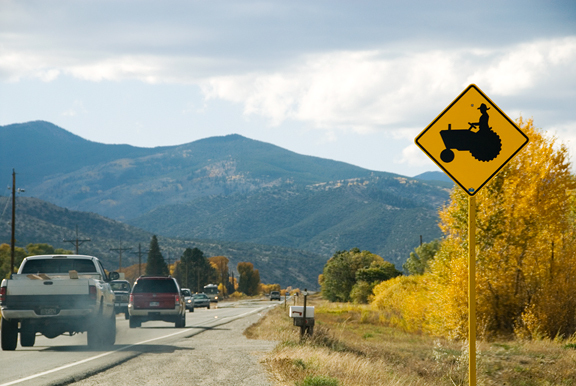 The big farmer with the small tractor made my day! You know, I *didn’t* dig on cheesecake, mostly because it seemed kind of difficult. Touchy. But you make it look easy. And your recipe is lovely and simple. So maybe I’ll try this. After the shredded beef tacos. Those are on the list first, because OMG. Gorgeous – both the scenery and the food! Oh yum. All this cheesecake is driving me insane. I am so making a cheesecake the minute I can go back to dairy. This is two lime cheesecakes I have seen this week. Oh help Lord, I need me some cheesecake. My ever expanding waistline, thanks you. My doctor on the other hand, wishes that you would post rabbit food….oh, but don’t listen to her. She doesn’t know what she speaks. The joy of my life would become extinct if I listened! 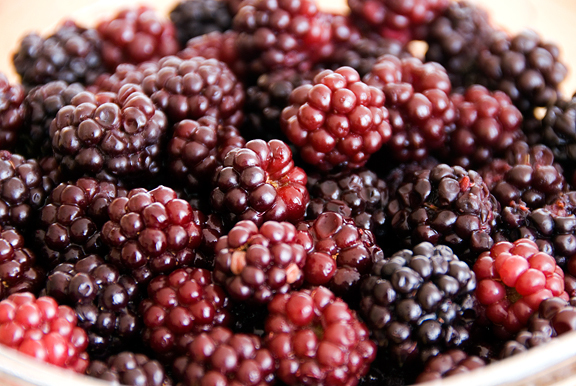 Not only do they look beautiful (even the frozen blackberries look beautiful – how did you manage that??? 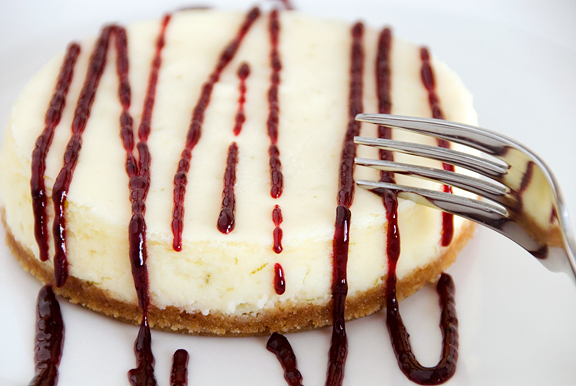 ), but lime cheesecake and blackberry sauce sounds wonderful. I’m going to make these just because limes are on sale here (8 for $1!!!). Also, were the blackberries IQF? I’m never sure how to defrost them so they look as plump as yours instead of a watery mess like mine. In the fridge perhaps? Hmm…did you use springform pans for these? Any tips if so? I’m a sucker for mini food, Jen, so I’m all for your mini cheesecakes! So adorable! And I’m very interested to try limes and blackberries together – such favorites of mine, but I have never tried them together! yum! your pictures are beautiful! Beautiful. You are SO giving me a craving. I haven’t had lime cheesecake in a long time. 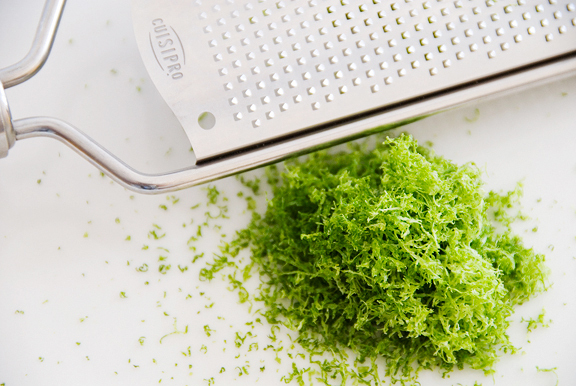 Does your food mill manage to get all the seeds out? Excellent! Personally, I like crushed vanilla wafers for a crust. :D I’m craving pumpkin cheesecake with cinnamony whipped cream…. mmm………. Love the mini springform pans. Looks amazing! Lime anything is so yum! 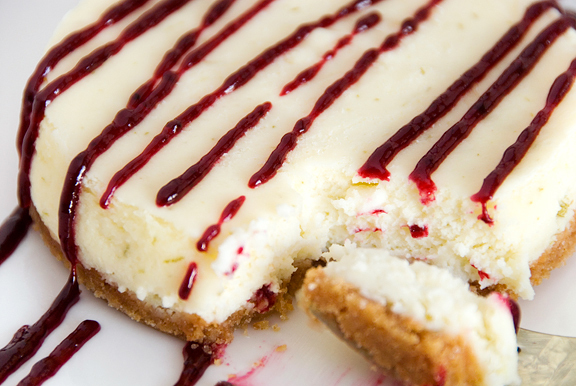 Rosa – the berry sauce is great with this cheesecake! Aaron – ha ha, that’s a good one. Manda – so glad you de-lurked! Thanks so much. Clumbsy – I didn’t notice the funny proportions until Mr. J mentioned it to me! Peabody – you should be able to whip some up in NO time! Susan – you are too funny. We must be on the same wavelength. Margie – I like to think of reading food blogs as perusing a menu. Beatrice – I was surprised that the berries were so lovely when they came out of the bag! I dumped them into a bowl and let them defrost. Aren’t they perfect looking? DivaDivine – 8 for $1. Dang! What a steal! I don’t know what IQF is, but they were some random brand in my local grocery store freezer. Not bad. Most of the time, they are pulverized. Manggy – yeah, this is a tad sweetish, but you can reduce the sugar some and it would still be great. Why didn’t you get one so we could be twins?!? Sherry – yes, 4-inch springforms. Treat them the same as a regular 9-inch. Not sure what you mean by tips. If you have specific questions, I’d be happy to answer. Nate – yes, my foodmill actually works great! My friend got it for me on Amazon. It’s AWESOME!! irene – that sounds great, I’ll have to try that sometime too. And pumpkin cheesecake…. ooooooh. Fazile – you’re so welcome! So, I saw your blog in someone’s blogroll, and was so thrilled by your title I had to visit. I have never been one for cheesecake, but the idea of pairing limes and blackberries is so creative I might try it. Also, your pictures are beautiful.